She is a pricey lady, but Galvestonians claim her as their own and money seems not to be a concern when it comes to preserving this beauty. As far as anyone knows she only visited the island twice but she is a prize the city is proud to sail and show. Built in 1877 in Aberdeen, Scotland, at the beginning of the age of steam, she is one of the last of her kind—a three-masted, iron-hulled sailing ship—measuring 205 feet from her stern to the tip of her jibboom. After years of traveling the world, by 1961 she had been reduced to smuggling cigarettes between Italy and Yugoslavia. Aware the Galveston Historical Foundation wanted a sailing vessel to display as a visual link between the city’s thriving 19th century port and its major businesses lining The Strand, Peter Throckmorton, a marine archeologist, spotted the much-altered old square-rigger in a Piraeus, Greece, scrapyard. Once aboard, Throckmorton discovered a plaque identifying the Elissa. More investigation revealed the dilapidated hulk as the oldest ship registered with Lloyds of London and its log confirmed two visits to Galveston. When she first arrived in Galveston on December 26, 1883, she carried one passenger and a cargo of bananas. The following January 25 she left port loaded with cotton, bound for Liverpool, England. Over the years, the Elissa knew at least seven owners and carried names such as Fjeld, while berthed in Norway; Gustaf, while sailing out of Sweden; and even Christophoros when purchased by Greeks. Each new name reflected the identity of her owners and brought physical changes such as losing some of her grand sails and acquiring her first engine in 1918 and having her bow snubbed in 1936. Even after Throckmorton discovered the Elissa, the Galveston Historical Foundation waited until 1975 to purchase her for $40,000. Despite the GHF sending a restoration team to Greece to make her seaworthy, removing tons of rust and rotten wood and replacing 25 percent of the hull, the Elissa had to be towed across the Atlantic and the Gulf of Mexico to Galveston. No blueprints existed to guide the restoration, but the new owners realized she must be made seaworthy to attract the support needed to complete the enormous task. Experts arrived from Europe, Africa, and all over the United States to direct a corps of volunteers who descended on the fine old ship, varnishing the woodwork and going aloft to “tar” the rigging to keep it from rotting. 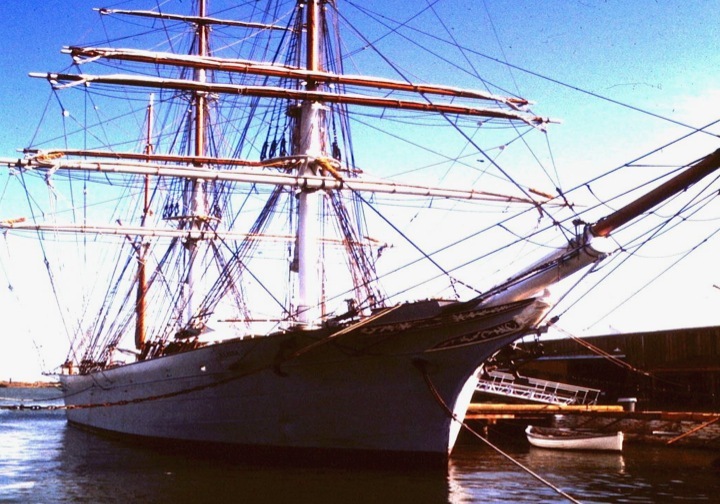 On July 4, 1982, with the restoration completed at a cost of $3.6 million, Texas had its “Tall Ship.” The Elissa sailed the Gulf of Mexico and began receiving a long list of awards for her restoration, for her volunteer program, and the most prestigious accolade from the National Trust for Historic Preservation in 1984—the Preservation Honor Award. 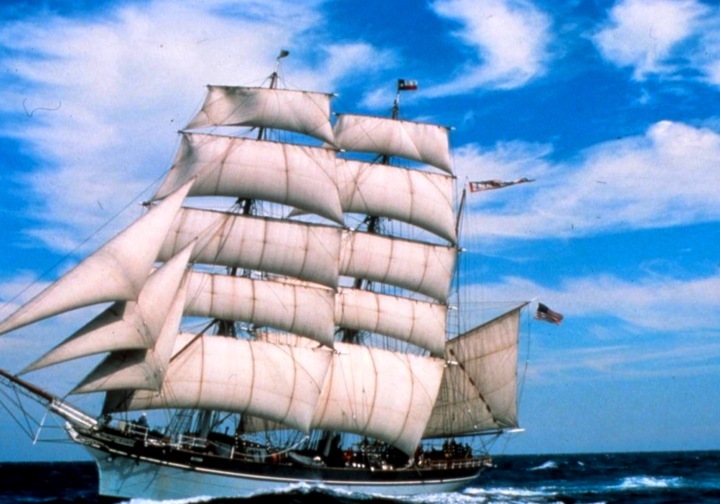 In 1985 Elissa made her first voyage as a restored sailing ship to Corpus Christi, Texas. The following year she sailed to New York harbor for the Statue of Liberty celebration and tall ship parade where she held the honor of being the oldest of the event’s Class A vessels. Over the years the Elissa represented Texas from Brownsville to Pensacola and received designation as a National Historic Landmark. Anchored at Galveston’s Pier 21 next to the Texas Seaport Museum, Elissa reigned as one of Galveston’s prime tourist attractions until January 2011, when her trip to dry dock for regular maintenance revealed corrosion penetrating spots in her hull. Apparently Hurricane Ike in 2008 caused far worse damage than inspectors recognized. With hull repairs estimated at $2.1 million and an additional $1 million to replace the wood deck, THC officials expect the Elissa to be ready to sail in the annual Harvest Moon Regatta from Galveston to Port Aransas in October and to resume her regular day sails in March 2013. Again, Elissa meets the challenge to retain her place in Texas history.